One of Hollywood's most popular tourist attractions is the Walk of Fame. This is Hollywood's tribute to the thousands of celebrities that have made Hollywood famous. 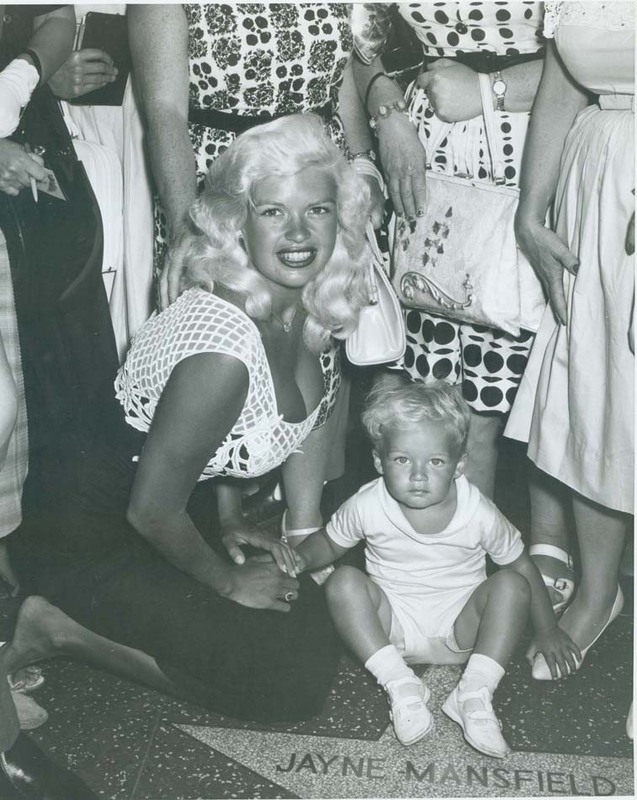 In Sept. 1958, the first eight celebrities to have their names immortalized in the terrazzo sidewalk included Preston Foster, Olive Borden, Louise Fazenda, Edward Sedgwick, Ronald Coleman, Burt Lancaster, Joanne Woodward and my grandfather, Ernest Torrence. Here is Tom Cruse's dedication ceremony in 1979. Today, there are more than 2,600 stars in the Walk of fame. From the hollywoodphotographs.com website. Without question, the Hollywood walk of fame is one of Hollywood's greatest contributions to the history and importance of the entertainment industry. The Hollywood Walk of Fame was conceived by a group of Hollywood Businessmen and property owners as a vehicle to afford and infinite tribute to the talented artists and artisans who create and perpetuated the Hollywood Aura. 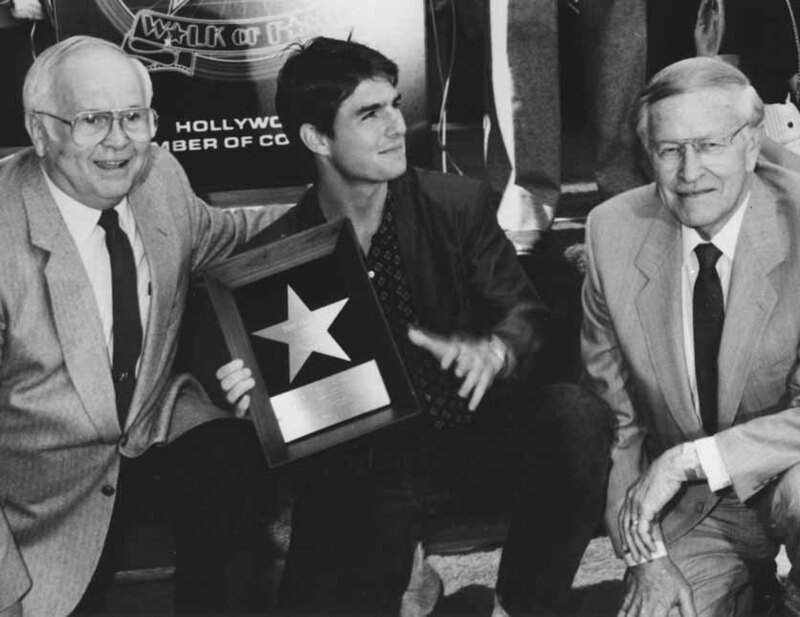 Their objective was to build a solid foundation for future major developments in the core area of Hollywood and to ensure that Hollywood would remain the major tourist attraction in Southern California. Many times people look around a room, a blog, or some project they are working on and realize that what they are missing is a sense of history. A certain something that ties them to the past, and nothing takes us back to moments like a photograph. Even if the person or place depicted is never known personally we this connection through the image, and this is never more true than when the subject is the magically place where movies come from, and have been made for generations. Looking for your own personal Hollywood walk of fame pics shouldn’t hard or overly expensive. Hollywood walk of fame pics can create the atmosphere you are looking for, inexpensive and without any hassle. The Go-Go's received the 2,444th star on the Hollywood Walk of Fame today, adjacent to the site of the pioneering all-female rock band's first performance in 1978. 'We loved the Hollywood Walk of Fame even then,' said Jane Wiedlin, one of the band's four founding members. 'In our wildest dreams, we could never have dreamed our little band would get a star on the Walk of Fame. Are you looking for pictures of the Walk of Fame? If you are then you can order them from Hollywood Photographs. Hundreds of stars have been given the chance to end up on this walk of fame, including recent inductions for Shania Twain, Sissy Spacek, Mark Wahlberg, Alan Jackson, Etta James, Russell Crowe and many more. You can order your walk of fame pictures for personal or commercial use, so be sure to check with us first before you look elsewhere. The history of Hollywood is so much more than just amazing films. The Hollywood Walk of Fame honors people in the entertainment industry in five different categories. 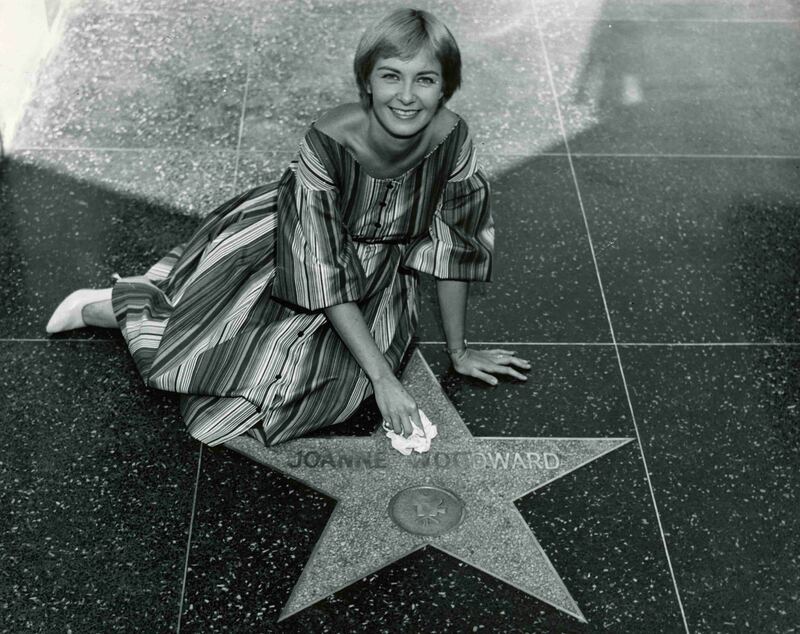 Joanne Woodward was the first celebrity to pose with a Walk of Fame star.. She was one of eight celebrities to be selected to have their names placed in the new Walk of Fame. Have you ever been to the Hollywood Walk of Fame? Are you hoping to one day experience it for yourself, or maybe even join the many celebrities that have already made it? Most people don’t realize it, but the Walk of Fame attracts more tourists than almost any other Hollywood attraction and has been credited with helping make tourism the number one industry in Hollywood. Penelope Cruz received a star on the Hollywood Walk of Fame on Friday, April 1st, in front of the El Capitan Theatre, 6834 Hollywood Boulevard. Joining her at her Walk of Fame ceremony was Johnny Depp who was, not only a good friend, but also one of her co-stars. She became the first actress from Spain to be nominated and to win an Oscar. Sissy Spacek has been one of the industry’s most respected actresses for more than three decades. Her honors include an Academy Award, five additional Oscar nominations, three Golden Globe Awards and numerous critics’ awards. There's one great way to see the biggest stars in Hollywood - over 2,400 of them - and that's to take a stroll on the legendary Walk of Fame, also know as the Hollywood Walk of Fame. Every year more than 10 million people take the 2 ½ mile journey along Hollywood Boulevard, and this year the Walk of Fame is celebrating its 50th Anniversary by paying tribute to the famous and fabulous from movies, television, theatre, radio and music. Whether you are aspiring to be a star some day or are just looking to get yourself some memorabilia, walk of fame pics are great. When you see those famous celebrities, posing by their sidewalk stars, you can’t help but imagine yourself there. Wouldn’t it be great to see the sights and hear those sounds?